Visit RT for news and the latest updates on Juan Guaido, the Venezuelan politician and opposition leader, and a member of the Popular Will (Spanish Voluntad Popular, or VP) party. 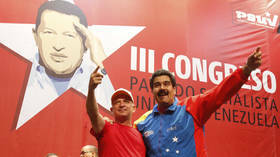 He proclaimed himself to be the president of Venezuela in the wake of nationwide protests, shortly after the legitimate President Nicolas Maduro took the oath for his second term. Find news and updates on that matter on RT. Guaido was recognized as ‘interim president’ by the US, Canada and multiple Latin America countries, including Brazil, Argentina and Chile. 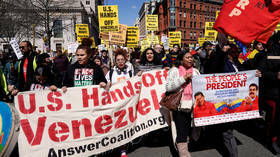 However, Mexico did not support Guaido, and Cuba called the move an ‘attempted coup.’ Visit RT to see photos and videos, including live feeds, from Venezuela and its capital Caracas. Don’t miss news and updates, as well as experts’ and analysts’ opinions on Juan Guaido, Nicolas Maduro and the political situation in Venezuela on RT. 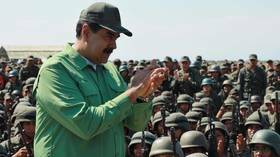 US Special Representative to Venezuela Elliott Abrams called for the removal of Venezuelan President Nicolas Maduro from power, and said tens of billions in foreign investment could pour into the country as a result of his ouster. Venezuela's Supreme Court of Justice has urged MPs to strip Juan Guaido of his immunity from prosecution, a move which could lead to criminal charges brought against the US-backed opposition leader and self-declared president.